Of all the rooms in one’s home, which one has the best lighting? In case you didn’t know, the answer is the kitchen. 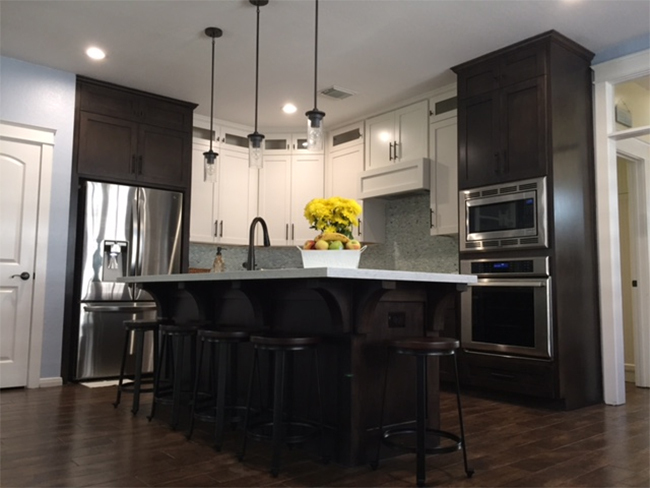 With the best lighting, it makes sense that homeowners pay attention to every detail of their kitchen. We at Architectural Depot encourage that and give it our all to help homeowners achieve the look they want with our products. Tim and Kelly from Texas were remodeling their kitchen this past summer. Every detail of this kitchen remodel was important to the couple; from the wood species to the light fixtures, it was important. 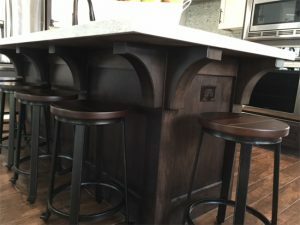 They chose to go online and purchase several Ekena Millwork rubberwood Clarksville brackets for their kitchen island. After the bracket was delivered, the two stained it to match the other wood products in their kitchen. Installing it with adhesive glue and some wood nails, the brackets were successfully installed. 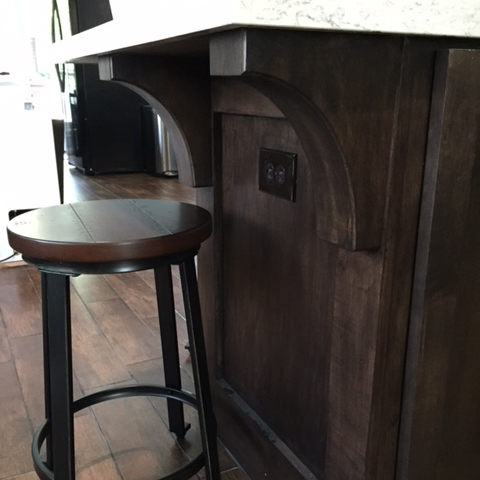 The brackets created individual sections at the kitchen island for people to be seated and they look great! The Clarksville bracket comes in several different wood species. 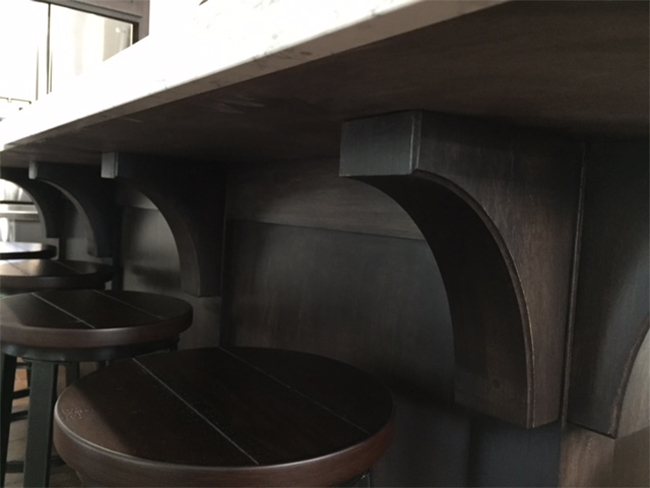 Not only is this bracket beautiful, it also is load bearing, so homeowners do not have to worry about whether or not the bracket can hold its weight. With proper installation, this bracket can support up to 250 lbs. It comes delivered to the customer fully sanded and ready to be painted or stained. Feel free to peruse through our entire collection of brackets via the link below!